Nascar is the stock-car auto racing sport, very popular in the US. Daytona 500 first comes to mind, the most famous and the most prestigious Nascar race. Every driver dreams to win Daytona and every bettor knows that betting on Daytona will potentially give him the biggest returns. In this guide, we will give you the basic tips for betting on Nascar races, especially on Daytona. There are three basic Nascar bet types, but they are not the same as the bet types in most of the other sports. Here we have Race winner market, Driver matchups market and the Props market. Race winner market is the simplest; you have to guess which driver will win the race. However, this market is easy to bet on, but it is not easy to win the bet, especially on the most prestigious races such as Daytona. There are usually more than 10 likely winners in the race, and even the biggest favorite might finish 20th! That’s why the potential profits are the highest in this market. Driver matchups are head to head duels between two drivers. You should guess which driver will come on top at the end of the race. This market is very interesting, but it might be really frustrating as well. Your driver might finish 2nd and you can still lose the bet. On the other hand, your pick might finish 35th and you can still win the bet. Props market is very similar to Totals in other sports. The bookmaker will set the line, let’s say 13.5, and you will guess whether that driver will finish over or under that position. Under is a better position, for example, 8th place, while over is a worse position, from 14th place onwards. 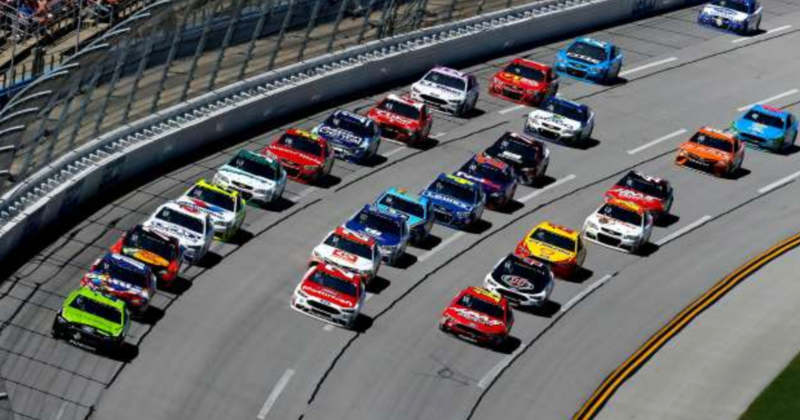 Nascar races are not regarded as the best choice for betting, simply because there are many factors affecting the outcome: the engine could break, the crash might destroy your favorites’ chances to win, weather conditions can significantly affect the race and so on. However, you should always have in mind that Nascar is among the markets with the biggest returns in the industry, and try to develop a reasonable betting strategy. First of all, you should check out early lines at the beginning of the week, before practice and qualifying sessions. You will always be able to find value among these lines, but if qualifying sessions have an unexpected outcome for you, your chances of winning the bet will be slim. You must pay special attention on the racetrack characteristics as well. Some of the racetracks have only one “groove” (the line on the racetrack on which cars are faster), while some have several grooves. On the track with only one groove, the pole-position might be crucial for winning the race, since the track itself doesn’t allow easy passes. On the other hand, on the tracks with more grooves, the pole-position is not that important. However, the bookmakers will likely give the biggest chances for victory to the driver who won the pole-position, so you might find value in betting on some of the outsiders. Some of the tracks are especially chaotic when it’s raining and you should take all this information into account before betting and improve your chances to get that big win.